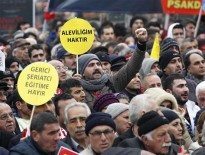 Turkey’s newly elected government has given signals that it may move to address the grievances of the country’s Alevi community through a new “Alevi opening.” Following its crushing election victory on Nov. 1, some think the Justice and Development Party (AKP) now has the political cushion to pass legislative changes that – however necessary – may not be popular with its base. But how accurate is it to refer to the “Alevis” as a single coherent religious group? In his book “Writing Religion: The Making of Turkish Alevi Islam,” Bayreuth University assistant professor Markus Dressler shows how contemporary understanding of the term “Alevism” has relatively shallow roots, only developing in the late Ottoman era. In this process, heterogeneous lineage-centered Anatolian groups, previously derided as non-Muslim heretics and referred to pejoratively as “Kızılbaş” were brought into the Muslim and Turkish fold by religious and secular reform movements from the late 19th century. Dressler spoke to the Hürriyet Daily News about his book (reviewed in HDN here) and the implications for groups that we today think of as the Alevis. In the book you describe how the idea of Alevism is a modern concept, formulated towards the end of the Ottoman Empire. Could you outline your argument? My starting point was the observation that although there seems to be a pretty firm knowledge about who the Alevis are and what Alevism is, the term “Alevism” [Alevilik] has a relatively recent history. It’s interesting to see that on the one side there’s this firmly established knowledge about who the Alevis are, but the term itself is barely 100 years old. I wanted to dig into the historical background of how this term came into use for groups that were not usually labelled in that way before. While looking into the terminology, I realized that the main issue was not that a new term was being used for those groups who were called “Kızılbaş” by outsiders, but that the use of this new term brought about a new conceptualization of who these people were. There was a new idea of the “essentials” of these groups that were now called “Alevis,” culturally and religiously. The interesting thing is this change in the knowledge about these groups, who used to be referred to as “Kızılbaş” but who are now generally called Alevis. Basically the book is an investigation into the change of knowledge about these groups. It’s an analysis of the discourses on Alevism. What was the main conceptual difference between the older idea of the Kızılbaş, which was a more diverse grouping of Anatolian religious traditions, and “Alevism,” which is a more modern, unified concept that bundles these groups together? Most people in Turkey today know the term “Kızılbaş.” It has a kind of pejorative meaning and it was not a term that most people called Kızılbaş would use for themselves. It was first coined in a very particular historical context – the late 15th and early 16th century – and was used to refer to the Anatolian supporters of the Safavid Shah İsmail. In the following centuries it was used for those groups that have a historical relation to the supporters of Shah İsmail or who were believed in some way to be heretical from a Sunni Muslim perspective. So basically Kızılbaş was not only used for those groups who are today called Alevi. It would be wrong to say they’re identical, although of course there is a historical relation between the Alevis today and the historical Kızılbaş groups from the 15th and 16th century. The important thing is that this notion of Kızılbaş carried negative meanings; it carried the meaning of heresy from an Islamic perspective, of being unreliable politically, of being socially and sexually promiscuous. These stereotypes had been used for other religious minorities in the region centuries before and had also been used by Christians to accuse certain groups of heresy, so it’s not something specific to Islam. Now if you look at the modern notion of Alevism, the meanings associated with it are firmly situated within Turkish culture. Although there is consciousness among Alevis and others that Alevism might not be explainable by references to Turkish culture alone, that is the main cultural reference point. It’s also situated within Islam, although the notion of “Islamic heterodoxy” puts it at the margins of Islam. In a way, these notions of being Turkish and being heterodox Muslim puts the Alevis in an ambivalent position within the context of the nation state. They were “Turkish, but…” and also “Muslim, but…” So how you situate the Alevis within a nation state that has always been defined as Muslim and Turkish depends on the situation. Obviously, compared to the totally negative association that the term “Kızılbaş” carried, the new knowledge that the term “Alevism” carries was an improvement. But it was an improvement in the context of the nation state, associating the Alevis with the Muslim Turkish nation. This kind of integration was never completed, which is why the situation of the Alevis is still ambivalent. Whether the climate for them is positive or negative depends on the specific political constellation. The “discovery” of the Kızılbaş by Western missionaries in the 19th century helped to motivate the Ottoman authorities to redefine Anatolian Kızılbaş groups as Alevis. 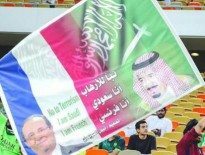 How was the development of the term “Alevism” a kind of response to the threat of Western imperialism? When we look at the reconceptualization of these groups using the term “Alevism” in the context of early Turkish nationalism – meaning the late Young Turk period to the 1920s and 30s – we see many references to Western theories about who the Alevis are. In many of the early Turkish nationalist discussions about the Alevis we find references to Western reports about the Kızılbaş. Some of these reports put them in close relation to Armenians, Christians, or ancient Anatolian people. In the late Ottoman Empire and after the First World War, these references were threatening from the nationalist perspective. There were the Balkan Wars [1912-14] and the First World War, but historically the process started earlier with the Ottomans gradually losing control over the Balkans, with mainly Christian people of the Balkans trying to separate from the empire under the banner of nationalism. There was increasing fear among the Ottomans that something similar could happen in Anatolia. That’s the context in which reports by American missionaries appeared, for example, about close relations between Kızılbaş Alevi communities and Armenians. Ottoman sources also report on the Kızılbaş and the missionaries, which all built up this fear that they could support the Armenians or support Western imperial interests in Anatolia, positioning themselves against the Ottoman Empire. From the Ottoman perspective, this put the Kızılbaş communities in a new position. It is in this context that one should understand how, under Sultan Abdülhamit II [r. 1876-1909], for the first time there is this phenomenon of the Ottoman state going into Kızılbaş villages and building mosques. The 1890s were part of the first campaign of trying to move the Kızılbaş Alevis closer to Islam, to make them part of the “Ottoman nation,” to make them “Muslim” with the hope that this would prevent them from making some political alliances with non-Muslim forces that could eventually increase the trouble that the Ottomans were already in. In the past, how to situate the Kızılbaş in terms of religion was never a major concern for the Ottoman authorities. They were referred to as heretics or unbelievers (“kafir”), but whether or not they were Muslim was not a major issue. It became an issue in the late 19th century amid Armenian nationalism becoming stronger and Western imperial interests in Anatolia becoming stronger. This is when it became important to make clear to the European political elite that the Ottoman authorities considered the Kızılbaş Alevis to be Muslims. Many modern Alevis have bought into the idea that they are a united whole, historically part of the Turkish nation. Many of them are today loyal Kemalists. What do you make of the self-identification of Alevis today? And how has their religious practice become more standardized over time? I think both processes are not completed. As I describe in my book, the main socio-religious thing that the groups referred to as Alevis share is the “ocak” – the sacred lineages around which these groups are organized. The new concept of Alevism tried to homogenize these traditions. In their historical form, the ocak-centered groups had very complex hierarchies and it was not a unified system. There was no central authority and there were different branches of traditions, some of which were closely connected and some of which had no connection at all. At the beginning, “Alevi” was only used as an umbrella term, which is how it should still be understood today. But the term “Alevism” then started to be used as if it represented a homogeneous group, although this homogeneity is still not a reality today. You can still find Alevis who reject the term “Alevi,” saying that instead they belong to a certain “ocak” or group. But it is obviously true that most ocak-centered groups today call themselves Alevis. They feel Alevi and there is Alevi solidarity. So “Alevism” is a social fact today, with traditions and rituals that have a century-old history. As a social reality the Alevis are not a modern invention; the modern invention relates to the label “Alevism” and the transformation of the knowledge about what characterizes these groups and how they’re situated ethnically, religiously and nationally. Still, this question of homogeneity or heterogeneity is of course a very political one. 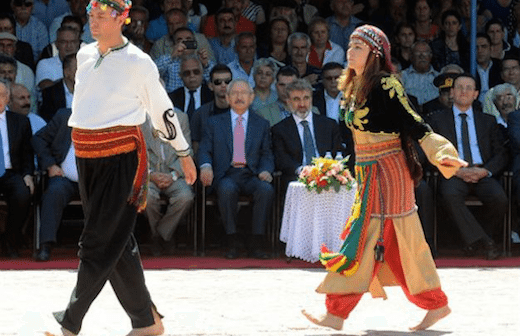 When we remember that one in four – or one in five – Alevis are of Kurdish origin then it becomes obvious that there are political implications to the question about to what extent are they Turkish. 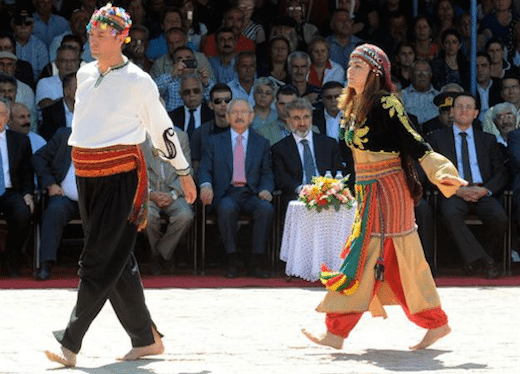 Most Alevis recognize that Alevism is deeply associated with Turkish culture, but Kurdish Alevis mostly do not share this knowledge. They of course have very different experiences with Kemalism and the process of the formation of modern Turkey. So there are certainly deep lines between various Alevi communities. To conclude, let’s talk about the present-day situation of the Alevis. There’s constant talk about some future “Alevi opening” on the part of the ruling AKP. How does the AKP’s view of the Alevis bear the traces of this nationalist reconceptualization that you describe in the book? There have been a number of political moves called “Alevi openings” in recent years, but they have been closed again. It’s possible that the new government will start something like a new Alevi opening, but there has been this rhetoric for at least 10 years. Improving the situation of the Alevis, or increasing their recognition in society and in relation to the state, has been discussed for even longer than that. As you know, a much bigger question is whether there will be another Kurdish opening or how will the peace process continue in the near future. Now that the AKP has regained an absolute majority in parliament, maybe we can expect a more conciliatory approach to the Kurds as well. But one of the characteristics of all these “openings” is that the AKP has so far adopted the Kemalist statist tradition, meaning that when they negotiate with the Alevis or Kurds they always make clear that it’s not a negotiation among equals. It’s basically the state dictating the parameters in which the negotiation of new rights can take place and what the limits are. One of the problems is that groups that define themselves as different from what is acceptable in Turkey’s mainstream identity are not allowed to simply state for themselves who they are, or how they relate themselves to the Turkish nation, how they relate to Islam. * A Turkish translation of “Writing Religion: The Making of Turkish Alevi Islam” is due to be published soon by Bilgi University Press. This and other interviews are available on the Turkey Book Talk podcast. Subscribe via iTunes here, Podbean here, or Soundcloudhere.